Gas Portugal Have you got a Gas Certificate? 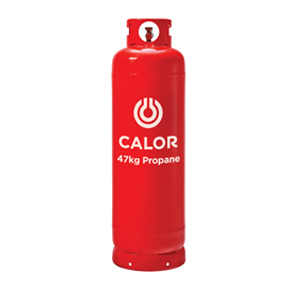 (Certificado De Inspeccao – Installacoes de Gas) Do you need one ? Never heard of them !? If you are refurbishing an old house are you sure that the gas installation is being done correctly. The installation may look different to your home country but is it safe? It may look like the other houses in the village but do you know if it is safe? You can and should have the gas installation inspected by an authorized engineer. This is not normally done by the person who installs or repairs the system in your home. The inspection starts at the gas bottle storage point goes along the connections to the bottles and into the house and the various gas appliances such as cook tops/hobs boilers, ovens and heaters. They look at the cut off taps and make sure the correct type of gas supply pipe is used. gas Portugal A certificate will be required by law in 2012 if you intend to rent out your house or part of your house or annex. Lets look at a typical existing gas installation. A gas bottle of Propane or LPG will be placed inside a kitchen cabinet. From this a black rubber hose will be connected to the gas bottle connector (regulator) with hose clips. The rubber hose may branch off to more than one appliance and disappear inside a wall to appear again next to the bathroom water heater or cooker. It works fine so not too worry. Don’t relax just yet. Most black rubber hoses are very old. New hose is white. You old hose may be perished, try rubbing your finger along the tube and if it appears sooty black the hose is perished. It may be even worse inside any pinhole leaks of gas will build up in your home and could cause an explosion. Gas bottles should be housed outside, stainless steel pipes instead of rubber hoses should be used. Have your boiler serviced regularly every two years or as often as the manufacturer recommends.